Formerly classroom training designed, developed and delivered by Mike Domingue, our Branch Sales Training is now in a self-directed format that's simple-to-follow and highly affordable. BMG's Branch Sales Training is designed specifically for small and mid-sized branches of banks and credit unions with limited training budgets but unlimited ambition. Is change happening faster than your team can adapt? 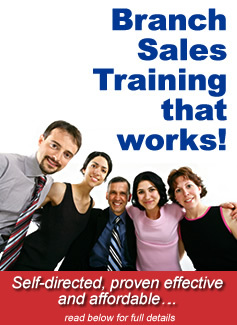 Do you need a sales program that's specific to your needs?